Your intrepid correspondent recently attended the Midwinter Meeting of the American Bar Association’s International Labor and Employment Law Committee. Attorneys from around the world spent four days focusing on emerging issues and new developments in international employment law, from labor regulations to artificial intelligence. I’ve distilled some of the key insights for you below. Italy and France have been known for their rigid and employee-friendly labor laws, until now. Both nations have made significant changes to their labor and employment laws that offer employers greater flexibility and predictability. These changes are intended to, among other things, make the countries more attractive to foreign investors and better align their labor laws with the rest of the EU. 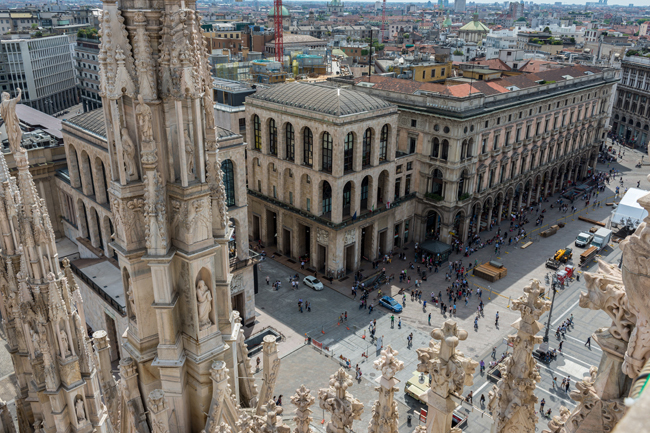 Italy just completed a multi-year series of reforms under its “Jobs Act.” One of the biggest changes is the remedy for successful wrongful termination suits, which is now a seniority-based financial penalty instead of job reinstatement. This shift has reportedly already caused a drop in court cases. Other components of the reforms include standardized unemployment benefits, loosened restrictions on fixed-term employment contracts, provisions for remote work and flex hours, expanded protections for independent contractors, and power for employers to demote employees or change their duties. France followed suit with reforms championed by President Emmanuel Macron. The first phase went into effect at the beginning of 2018. The reforms made major changes to the procedures and grounds for economic dismissals, which sparked an immediate string of layoff announcements by companies such as Peugeot and IBM. France’s reforms also give employers the ability to negotiate company-specific collective bargaining agreements (CBAs) with unions, which was not available to them under the previous regime of standard industry-wide CBA’s; streamline the employee representation system; and set a range of capped fines for wrongful dismissal. 2. A new category for gig workers? Clearly, the gig economy is global. The international growth of Uber, and other businesses that rely on gig workers, is raising a host of employment law issues everywhere. Many a lawsuit has been filed over whether employees are being improperly treated as independent contractors, including a case recently lost by Uber in the UK. Some argue that it’s time to consider more widespread adoption of the “dependent contractor” concept, an in-between classification for a contractor who is economically dependent on one principal. Dependent contractors may be entitled to some, but not all, of the same rights as employees. The new category is now available in Canada, and there are also proponents of adding the dependent contractor status for gig workers in the UK, though an in-between “worker” category already exists in the UK. Labor union activity can unexpectedly defy historical trends. Even as the influence of labor unions in traditionally union-heavy countries like France may be waning with labor law reform, there are signs of new activity percolating. A UK lawyer who spoke at the conference noted rising interest in trade union membership among highly educated, highly skilled workers. The Guardian covered “a new breed of small, nitty-gritty [unions] that work at the frontiers of precarious employment.” And in the US, a wave of highly visible teacher strikes is having an impact, while the nation’s first fast-food workers’ union was born this year. Although arbitration is widely used to resolve labor and employment disputes in the US, in the UK it’s prohibited for some claims and hasn’t been much used for others. That’s starting to change, and the UK Employment Lawyers Association (ELA) is encouraging the trend. Noting an “increase in the use of arbitration by parties to employment disputes,” an ELA working group issued a report in late 2017 that describes the arbitration process and recommends providing more resources and training. For similar reasons, the European Employment Lawyers Association recently developed model rules and agreements for certain international employment arbitrations. 5. U.S. Immigration policy: impact on business? At the two international law conferences I attended this spring, there was discussion of the increasingly restrictive implementation of US immigration laws and its effect on employment. I heard anecdotes of multinational companies, entrepreneurs, students, and skilled workers choosing locations outside the US more often because of concerns about welcomeness and the availability of visas in the US. They’re sometimes going to countries like Canada, which in 2015 launched its Express Entry program for skilled workers; China, which is putting concerted effort into funding and recruiting for scientific research; or France, which created an opportunity for some foreign scientists to conduct their climate-related work, fully funded, in a French host laboratory. Global mobility may be a boon for some highly skilled workers, but it can be a trap for those in low-wage jobs who are coerced or abused. One conference presenter told us about his work on a case that began with a call from a construction worker who had been “imported” from China to build a casino on Saipan, a US commonwealth. The employers took the workers’ passports on their arrival and, in effect, used them as forced labor in dangerous conditions. Because US laws apply, the lawyer worked with US law enforcement to obtain legal protections for the workers and stop the abuse. Interestingly, a special US immigration visa had been used to bring in the Chinese workers. Due to a spate of visa abuses in Saipan and other Northern Mariana Islands, the visa program may not be renewed when it expires next year. The case is a good reminder about the importance of supply chain integrity and corporate responsibility. Businesses need to take steps to verify that their international suppliers, contractors, and partners are following the law. A growing number of third-party firms offer services in this area, such as auditing contractors’ compliance with local, national, and international labor laws. Gender pay equity is a developing area in a number of European countries. Their interest in and commitment to reducing the gender pay gap is matched by that of some states in the United States where the issue has been addressed recently with new legislation. The UK, which enacted equal pay legislation in 1975, implemented new gender pay gap reporting (GPGR) regulations in 2017. GPGR (not to be confused with the GDPR data privacy regulation!) requires companies with 250 or more employees to calculate and publish their gender pay gaps. Whereas the US states focus on reducing gender pay disparity between comparable jobs, the UK law has companies disclosing the gender disparity in overall pay, across a company’s pay scale. The idea is to reveal the degree to which women are (or aren’t) advancing into higher-paying jobs, or are clustered in undervalued jobs. There’s some discussion about extending the pay gap reporting requirements to ethnicity, disability, and other protected characteristics. New 2017/18 pay equity laws also include Germany’s Pay Transparency Act, which gives works councils and employees new rights to request pay-related information from employers, for salary comparison; and Iceland’s amended Equal Pay Standard, requiring employers to obtain government certification of their compliance with equal pay rules. A pending bill in Ireland would require public reporting of gender pay gaps. France is proposing to monitor companies’ gender pay gaps via software, then give them three years to close the gap or face fines. Austria and Belgium each imposes its own reporting requirements already. I don’t need to tell you that the EU’s General Data Protection Regulation (GDPR) kicked in on May 25, 2018, because you probably received many notices about updated privacy policies last month. GDPR is the 800-pound gorilla of privacy and data protection laws. It affects all companies that handle the personal data of individuals residing in the EU—regardless of where the company is located or where the data is processed—and it requires ongoing compliance efforts. Companies with employees in the EU are subject to additional GDPR rules about managing employee personal data and monitoring employee behavior. If companies have EU employees, no matter where the companies themselves are based, they’ll need to make sure employment policies, forms, and procedures are GDPR-compliant.